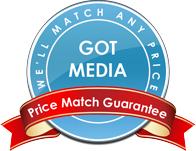 Gotmedia.com offers Titan DVD-R Media. Titan DVD-R are high-resolution inkjet and thermal discs. As an established recognized leader for quality and reliability, be sure to check out our line of Titan CD-R Media products as well!